Mubarak’s Promise. Social justice and the National Housing Programme: affordable homes or political gain? 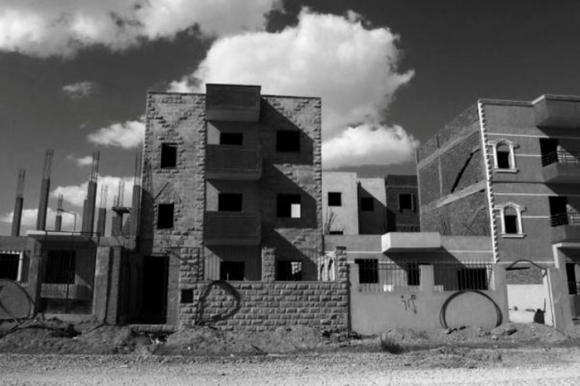 Even in the absence of a constitutional article declaring the right to adequate housing – first introduced in the 2012 constitution – the Government of Egypt has taken it upon itself to build subsidised housing, which has made up nearly a third of all housing production in its heyday (World Bank 2007). But despite the billions in public funds spent on such programmes, hundreds of thousands of people risked their lives to overthrow the Mubarak regime in early 2011, mostly on grounds of unmet social goals. If these large investments in public housing programmes did not achieve their advertised social goals, were there other unadvertised goals that they did achieve? This paper assess the most recently “completed” programme, the National Housing Programme (NHP), or “Iskan Mubarak” ( 2005 to 2012), in light of the track record of clientelism that post Infitah regimes have been known for, using pragmatic parameters such as the International Covenant for Economic, Social and Cultural Rights’ seven mandates on adequate housing (ICESR Article 11 and general comment no. 4/1991), to find out whether the NHP was indeed meant for the poor, or if it was another large High Modernist project ‘designed to deceive’, where its importance for the regime lay more in starting it rather than in completing it (Deputy 2011). Même en l'absence d'un article constitutionnel citant le droit à un logement suffisant – introduit pour la première fois dans la constitution de 2012 – le gouvernement Egyptien a pris la responsabilité de construire des logements à loyer modéré (subventionnés), représentant le tiers des constructions de logements pendant l'âge d'or du gouvernement (Banque Mondiale 2007). Mais malgré les milliards prélevés sur les fonds publics et investis par le gouvernement dans ces programmes, des centaines de milliers de citoyens ont risqué leurs vies dans les rues, pour renverser le régime Moubarak, début 2011. La plupart d'entre eux avaient pour but des demandes sociales non-satisfaites. Si ces fonds investis dans les programmes immobiliers publics n'ont pas atteint leurs buts annoncés, existait-t-il des buts non avoués, qui auraient été atteints ? Le présent article fait l'évaluation du programme le plus récemment « achevé », le Programme National pour le Logement ou "Iskan Moubarak" (2005 à 2012), à la lumière des antécédents de clientélisme pour lequel les régimes post-Infitah sont réputés. On utilise pour cela des paramètres pragmatiques tels les sept critères du logement suffisant cités par le Pacte International relatif aux droits économiques, sociaux et culturels (CESCR Article 11 et observation générale no. 4/1991), et ceci pour évaluer si le PNL était véritablement destiné aux pauvres, ou s'il n'était qu'un autre projet post-moderne, conçu pour duper, et si son importance pour le régime réside davantage dans l'effort de le commencer plutôt que dans son achèvement. (Deputy, 2011). Benchmark 1: Does the NHP plan answer the demands of the advertised beneficiaries? Benchmark 2: Have the NHP units reached their advertised beneficiaries? How many units are usable? 2Given the dire state of the built environment in Egypt where millions of families lack adequate housing,2 and despite the billions in public funds spent on subsidised housing programmes, hundreds of thousands of people risked their lives to overthrow the Mubarak regime in early 2011, mostly on grounds of unmet social goals. If these large investments in public housing programmes did not achieve their advertised social goals, were there other unadvertised goals that they did achieve? 4To assess this, I use three benchmarks. The first is a macro view of the housing programme’s pragmatic framework, i.e. its ability to reflect housing demands as evidenced by the number of units, tenure types, and geographic equity, as previous housing schemes have centred on the Greater Cairo region, while supply-side projects have rarely helped ease housing needs. The second benchmark looks in more detail at the adequacy of the housing units themselves, where the International Covenant for Economic, Social and Cultural Rights (ICESR) sets seven mandates,4 of which security of tenure, affordability, and habitability are important if the housing provided by these programmes is of any real use for its potential beneficiaries. The third aspect to be assessed is implementation, as there is a history of incomplete projects, and at a projected rate of roughly 80,000 units a year, this is by far the most ambitious public housing scheme attempted in Egypt. 5It is argued that authoritarian regimes have built rational-legal systems on deep foundations of patrimonial rule, where systems of proxy rule by middlemen such as the Caciquismo in Mexico, the Marabouts in Senegal, or Bossism in the Philippines, (re)distribute government aid in return for the people’s support of the regime.5 Indeed Egypt is no stranger to clientelism, where a culture of wasta and mahsubeyya, literally middlemen and favouritism, pervades in everything from the rigging of school grades, job placement – mostly in the public sector, but also in the private sector–, to the winning of contracts in supposedly open tenders. 9With a pledged fund of LE 7.5 billion (EUR 781 million) in subsidies, a strategy of seven schemes was developed, all being coordinated by an agency of the MoH, and where both public and private sector entities would implement them (fig. 1). 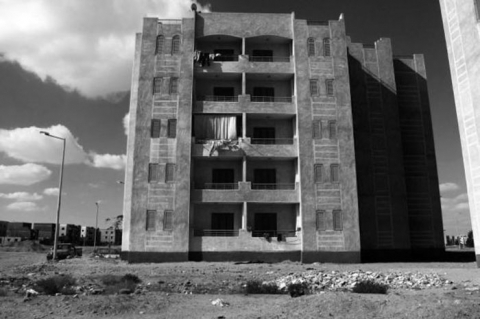 In all, about two-thirds of the scheme was to be built by government agencies, while the rest would be built privately as Ahmed El-Maghrabi, then housing minister, emphasised was needed as the “government budget could not support” such a large number of housing units11 – even though the private sector units were to be built on state land where subsidised trunk infrastructure would be installed by the government.12 Ownership would be the dominant tenure option across all schemes (80 per cent), while public sector rental schemes would make up the rest. * Ministry of Housing, Utilities & Urban Development, Igazat al-iskan al-qawmy, 2009. ** Ministry of Housing, Utilities & Urban Development, Al-Mashrua' al-qawmy lil-iskan, 2012. 10The traditional public sector agencies were chosen according to their custodianship of the public land earmarked for development. These agencies included the New Urban Communities Authority (NUCA) – which takes the place of local government in New Cities through its city authorities, or Gihaz, and is directly affiliated, with the MoH – in addition to the Housing Directorates of almost all 27 governorates, as well as the Ministry of Religious Endowments, or Awqaf, and the Ministry of Agriculture. 11The largest of the public sector schemes would be developed by NUCA and the governorates under the name Tamlik (ownership), with 199,000 units covering 40 per cent of the NHP. A smaller ownership scheme by the governorates composed of village houses (Qura al Dthahir al-Saharawy, or Al-Beit al-Badawy) would comprise 8,000 units (1.6 per cent). There would be three rental schemes comprising 21 per cent of the NHP: the Al-Igar, 26,000 units, built by al-Awqaf and the governorates; Beit al’Aaela, 3,000 units, built by al-Awqaf and a NUCA and governorate scheme of much smaller 42 m2 units; and the Al-Awla bil-Re’aya, of 75,000 units for those prioritised as needy, mainly widows, and retirees. 12Out of two schemes developed by the private sector, the Mustathmirin (Investors) was to comprise 100,000 units (20 per cent of the NHP) where variably subsidised land would be sold under a variation of conditions to big real estate developers, of which at least 50 per cent of the land would be the 63 m2 units as in the Tamlik scheme.13 The second private sector scheme, Ebni Beitak (build your own house) was geared towards individuals, whereby 89,000 plots (17.8 per cent of the NHP) would be sold at subsidised prices with a requirement to build a minimum of one floor (a 63 m2 unit) within the first year, and with a maximum of three floors. 15 (USAID, Housing Study for Urban Egypt 2008). 14However, to put these numbers in context, an assessment of the scale of demand for low-income housing is needed. Unfortunately, data for housing demand is very scant, which is one of the more obvious indicators that the NHP was not designed to succeed, at least in terms of housing for its advertised beneficiaries. The largest housing demand study conducted in Egypt is the Housing Study for Urban Egypt, which was released in 2008, a full three years after the NHP had started.15 This study clearly states that its figures for demand are not universal, though in the absence of any other data, this is the only reference to proclaimed housing demand through questionnaires. Projecting its figure of 2.8 per cent demand among urban households to cover rural household demand assuming that rural demand is similar to urban demand –, over a ten-year period, the average yearly demand for housing would be about 870 thousand units. If we also use the study’s breakdown of the reasons behind the demand and focus on the most pertinent one, marriage, while excluding other demand reasons like looking for a larger unit, that would bring the needed units down to 361 thousand a year (41.6 per cent of demanders). Assuming demand is uniform across income brackets – which it is not – about 40 per cent could be considered low-income – the lowest two income quintiles, poor and extremely poor – translating into a target market of 144 thousand units a year. Thus the NHP would theoretically manage to cover almost two-thirds of low-income demand for immediate housing needs, which is a considerable contribution. 15Up until the 1980s, subsidised housing programmes were predominantly long term or even lifetime rentals, but since then they have become lease-to-own. The NHP attempted to be a little different, with an initial mix of 73 per cent ownership units, and 27 per cent rental (although the implemented mix is 90 per cent ownership, 10 per cent rental). Of the ownership units, a quarter were self-build units, while three-quarters of the rental units were small non-family units for retirees or widows. 16In contrast, a little over half of home demanders in the USAID Housing Study preferred rent-to-own tenure, while 43.3 per cent were prepared to buy, taking into consideration that these figures are averages over the entire income range and are not specific to low-income groups, which would probably have more preference for long term rental units. 17It is also worth noting that the study showed demand for self-build land in urban areas to be very low (4.1 per cent), though it may be very different in rural areas where people are more used to the process of self-building. 21The lowest shares of housing were in most Delta governorates that had no desert fringes (Gharbeya, 0.001; Kafr al-Sheikh, 0.004; and Dakahleya, 0.006), which is understandable, as state owned land (a prerequisite for public housing) is in short supply there, and that their share is usually allocated to a New City in another nearby governorate.20 However what is not understandable is the low share for mostly Upper Egyptian governorates that do have a desert fringe, and also have land allocated to the New Urban Communities Authority (NUCA) to build New Cities (Assiut, 0.008; Beni Sweif, 0.012; Qena, 0.013; and Sohag, 0.014). 22This wide variation between governorates that is up to a factor of 400 (between the highest and lowest share) shows how public funds can be easily misallocated in the absence of a thorough geographic housing demand analysis, as well as an absence of accountable local government and that it is most likely left to either an arbitrary means of allocation, or a means that favours certain constituencies. * Various sources from the press ** CAPMAS, 2006. 'Adad Osar Muhafzat Misr. 23There are some quantitative regulations that govern the NHP allocation process, as well as the specifications of the housing units themselves. However, to test how adequate these regulations are, they have been compared to the mandate set by the ICESCR on adequate housing.21 Besides being a universal benchmark, the ICESCR has also been ratified by Egypt making it part of local law. 24The ICESCR defines accessibility as the meeting of specific needs of disadvantaged and marginalised groups. Therefore, in this section the focus is on if the poor were able to benefit from the NHP based on the financial and formal requirements set to qualify for an NHP unit. 26Economic data at the time shows that the target beneficiaries of low-income earners, which common sense would have one assume are the poorest two quintiles, had household incomes of LE 600 and LE 800 (EUR 61 and 82) respectively (fig. 3). This meant an instalment or rent-to-income ratio of 25 per cent of income would be between LE 150 to LE 200 (EUR 16 and 21) per month. However, the legal definitions of low-income earners used by the NHP are completely off the mark. In 2005, when the NHP started, low-income was defined as no more than LE 1,000 (EUR 104) for a single earner, or LE 1,500 (EUR 156) for a household income, which was raised in 2008 to LE 1,750 (EUR 182) and LE 2,500 (EUR 260) respectively 23. A minimum income was also required for the ownership units at LE 650 (EUR 68) to qualify for the required bank loan, or LE 1,200 (EUR 125) for a mortgage. This means that the target range of the NHP was the 32nd to 98th income percentiles,24 or roughly the top half of the second quintile, all the way to the upper levels of the fifth (richest) quintile. *Source: USAID, 2008. Housing Study for Urban Egypt. 25 (Al-Ahram, Iskan Hukumi bil-igar 2010) and (Al-Ahram 2013). 27In effect, this meant the exclusion of the bottom 32 per cent of earners (most of the second quintile and all of the first quintile) from all but 8 per cent of the units of the implemented NHP. With this, the only affordable options were the Awla bel-Re’aya scheme, which rented out for anything between LE 60 and LE 125 (EUR 6 and 13) per month depending on the whims of the authorities,25 and the Igar family unit schemes which rented for between LE 160 and LE 200 (EUR 17 and 21) per month.26 However, access to these units was limited as the Awla bel-Re’aya were small units of 42 m2 and are not family units. Rather, they are intended for retired couples or widows who would normally be living off a very modest pension. The other Igar scheme units (an acceptable family size of 63 m2) were not available in all governorates and represented only 3 per cent of the implemented NHP. 31 For phase four of the NHP from 2010 onwards. (Al-Ahram 2010). 32 (Ros-al-Youssef 2010) and (Al-Dustur al-Asly 2010) and (Al-Ahram 2010). 29Even if one could afford these units, accessibility was still theoretical, since to qualify for a bank or mortgage loan for the Tamlik units, beneficiaries must have had a formal job to act as guarantor towards the loan, rendering these inaccessible to almost 40 per cent of the working population who have informal jobs.30 A further hurdle was added later to the project when the original bank, Al-Ta’meer wal-Iskan, transferred all loans to Bank Masr (both of which are state owned), though the latter bank demanded a guarantor with a government job, no older than 40 years old, not an immediate relative, and who would have his or her salary paid directly into the bank on a monthly basis in order to have the value of the instalment deducted automatically.31 This move further excluded almost 80 per cent of potential beneficiaries, or as was to be expected, opened a black market to rent out government employees who would be found lurking outside the bank’s branches during application time, offering their ‘services’ for LE 15,000 (EUR 1,562) per application, or demanding to go into ‘partnership’ with the applicant in owning the unit.32 This last amendment however did not extend to the mortgage lenders which had a different application system, but a much smaller share of the NHP. 36 According to a price schedule for the “Degla Gardens” development. 37 Field visit to the Haram City development, 6th of October City, Giza, 10.12.2013. 34The majority of NHP are ownership schemes (79 per cent as planned/ 92 per cent as implemented), financed under special terms from both state-owned banks and mortgage lenders (for the public sector schemes) and private ones (for the private sector schemes). In the public sector schemes, units are delivered after paying an initial down payment, where loans/mortgages are paid back over 20 to 40 years. The main setback for bank schemes is that owners are not given the title deed to the property, or even a copy, until the full value is paid, while running the risk of administrative foreclosure in the case of default on payment of an instalment.44 Mortgage loans, though more rare, offer a little more security in that the Guarantee and Subsidy Fund (GSF) can guarantee missed payments for up to three months. Overall, the government has shown some leniency, possibly for political reasons, in both 2010 which was a run-up to an election year, when 17,000 tenants defaulted on their instalments, and in 2012 when an undocumented number defaulted in the wake of the January Revolution and the ruling SCAF was looking to quell unrest.45 Leniency took the form of waived interest fees on missed instalments as long as the total original value of the missed instalments was paid within a certain time frame. However, because there are no statistics, it is hard to assess the rate of default-caused evictions. 46 As in the contract for the “Degla Gardens” housing scheme by the developer Mi’mar al-Murshedy. 36Beneficiaries could, however, buy their security by purchasing a unit outright, though this method favours higher income earners who could provide enough cash up front, and is not wholly legal as per NHP rules. 39According to the ICESCR, habitability is defined as the provision of adequate space and the protection from climate and structural hazards. Physical accessibility means that disabled people and the elderly are able to access their apartments. Cultural adequacy takes into account expressions of cultural identity. By combining these three indicators, we can establish a baseline for crowding and spatial needs that is contextualised for average Egyptian requirements. 40The Egyptian Building Code stipulates a minimum space requirement of 7.5 m2 per habitable room, be it a living space or a bedroom (fig. 4), which is extremely low. By comparison, London standards, which are not known for providing generous apartments, are 7 m2 for a single occupancy room, and 12.5 m2 for a double occupancy, and 20 m2 for a living space that holds four people. 41In terms of space, the two bedroom units for widows or retired couples (Awla bel-Re’aya, 5 per cent of the NHP) with a net area of 37 m2 allows them to barely conform to the Egyptian code, but the bedrooms are 40 per cent smaller than the London code, while the living room is quite small for a family. The two-bedroom family units for all the other NHP schemes, with a net area of 54 m2, are generous by Egyptian code standards, but the second bedroom misses the London code by 15 per cent. 43As the age target for the NHP beneficiaries was between 20 and 40 years, there should have been larger three-bedroom units of about 73 m2 (net area 64 m2) on offer, to accommodate more mature families. There should also have been an option where smaller families who benefitted from the NHP, can apply to move to larger units that come on offer in later phases of programmes, thus freeing up their smaller units to new younger families. 46All unit schemes were supposed to be delivered with their infrastructure hooked up, though not necessarily with finished interiors. Infrastructure for the Ebni Beitak scheme was supposed to be in place within the first year of plot delivery, as buyers completed the ground floor units. Entire phases of public housing projects that preceded the NHP have stood empty for close to a decade because of incomplete infrastructure, so was the NHP any different? 59 (Al-Zanaty and Way 2009). 52The original plan for the NHP was to build 500,000 units in a six year period between September 2005 and September 2011, Mubarak’s six year term. It was already viewed by experts as too ambitious given the historic rate of production of such schemes (about 17,000 units per year), and given the lack of preparation and planning before the start date to significantly raise that figure four fold to an annual average of 83,000 units. 53The government though, wasn’t going to build all 500,000 units since public sector agencies (NUCA, governorates, and the Awqaf) were going to build 311,000 units between them – roughly 51,000 units a year – while the private sector would build 189,000 units – at 31,500 units per year (Figure 5). 54In the end, public sector agencies averaged 34,000 units per year over the initial six year NHP timeline, roughly double the rate of previous programmes, but by completing only 203,453 units it met a mere 65 per cent of the target.60 As per a MoH report dated October 2012,61 and given a full additional year to the September 2011 deadline, albeit a year where government was still dysfunctional in the wake of the January 2011 revolution, the 500,000 units target had still not been met. 55The public sector schemes missed their collective target by 15 per cent, where the rental schemes were the biggest underachievers, with only a third of the intended target built, while the ownership schemes exceeded their targets by 12 per cent. 57The question of habitability brought up in the first part of this essay implies that the number of units built does not mean much if they are not useable, or if usable units are not lived in. 64 For an in-depth analysis of this phenomenon see Shawkat, 2013. 62By October 2012, a full year after the original deadline of the NHP, a little over three-quarters of the 500,000 unit target had been met, where a third of them were built using private money. While at the outset this seemed like a significant contribution to urban housing, the NHP missed all of its social targets. 63In terms of providing affordable housing to low-income families (those of the bottom two income quintiles) the NHP ignored its advertised target. The units most suited to the poorest income quintile, the rental Igar, Awla bel-Reaya and Beit al-‘Aela, constituted less than a tenth of the total completed units even though they were supposed to constitute double that figure. Meanwhile, a full 60 per cent of the programme was theoretically affordable for only the top half of the second income quintile and up. This is because it excluded all those who have informal jobs and embedded middle-income government employees, NDP parliamentarians, governors into the allocation system –allowing these regime supporters to profiteer as middlemen between those who did not meet NHP criteria–, and investor/speculators, all profiting from a well-below-market-price unit that could be sub-let or ‘flipped’ once the resale price was right. The remaining third of the NHP was affordable only to the richest earners. 64This massive redistribution of public subsidy to the undeserving was made possible by un-transparent and arbitrary allocation procedures and a legal definition of ‘low-income’ that completely ignored economic data, hence, deceiving the public in to believing that the NHP was affordable to the poor. 65In terms of providing useable and liveable housing to its advertised target beneficiaries, there was a lot left to be desired from the NHP. Despite the completion of about 380,000 units, infrastructure non-delivery rendered a significant portion of them unusable, while faulty construction meant a considerable number of NHP blocks suffered structural damage within months of being completed. These are stark indicators that there was never any real money or capacity to complete the well-advertised target of half a million units, where behind endless freshly painted facades hid thousands of unusable or unsafe apartments. 66For those that did end up living in NHP units, life could be much better. While political reasons keep risk of evictions low for formal owners, a risk does remain. This risk is much higher for tenants of the informally sublet ownership units. Formal rental units also carry a risk of eviction especially given the precarious nature of the intended “more vulnerable” beneficiaries. 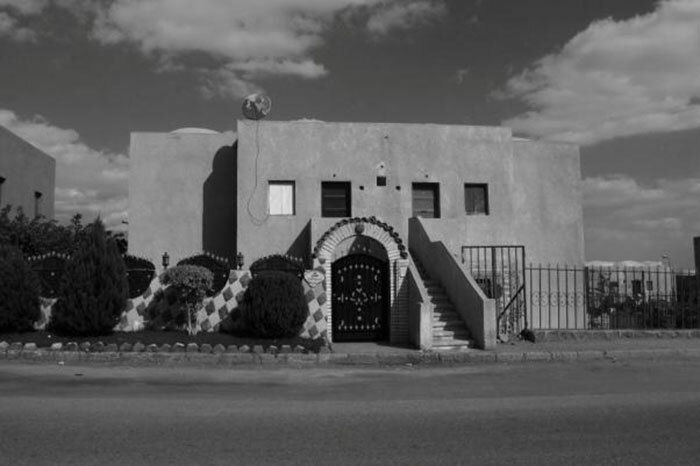 Habitability was another concern as the 63 m2 units were still small for a typical Egyptian family in that income bracket, while the smaller 42 m2 units are just outright inadequate for beneficiary families of these units. Physical accessibility and location of the units were also of concern as very few if no provisions were made for the disabled, while the remote locations coupled with the absence of public transportation made access almost impossible for those without a private car. Personal security is another major concern. 67So who did the NHP benefit? For one, pictures of Mubarak, governors, and other officials handing over deeds to beneficiaries filled the front pages of newspapers for a few years and kept up the hopes of hundreds of thousands of families for affordable housing. The regime also capitalised on the NHP in the government report to the ICESCR, citing its efforts to fulfil its obligation towards the right to adequate housing, and was touted in the 2010 UNDP Human Development Report as realising the dreams of Egypt’s youth. 68With the knowledge that expert advice was delivered at the top levels of government on important social justice issues like subsidy leakage and the screening of potential beneficiaries, and with this empirical study on the actual beneficiaries, the main driver behind the NHP seems to have been political gain. 69As the unfinished schemes of the NHP muddled on in the two years after the revolution that toppled Mubarak’s regime, the ensuing regimes – the first interim military period ruled over by the SCAF, the year of Muslim Brotherhood (MB) rule, and the second interim military period of post June 30th, 2013 – continued using the same un-transparent allocation processes and deceiving legal definitions for ‘low-income’ to allocate the remaining units. Furthermore, mortgage companies are calling for raising the already deceiving ‘low-income’ limit for affordable mortgages to LE 4,000 (EUR 417),71 while during MB tenure, the GSF has put in a request to raise the loan-to-income ratio to a potentially devastating 40 per cent instead of the current 25 per cent, and seems set to be allowed to do so by the next elected parliament. It remains to be seen whether litigation on the back of a new constitution that outlines adequate housing as one of the government’s responsibilities, will manage to change not only policy, but conduct. Abt Associates. "Clientelism, Patrimonialism and Democratic Governance: An Overview and Framework for Assessment and Programming." Abt Associates. December 2002. http://www.abtassociates.com/reports/2002601089183_30950.pdf (accessed 12 22, 2013). Al-Ahram. "Bi sabab al-tagawozat wal-samsara wa irtifa'a al-as'ar, al-mashru'a al-qawmy lil-sikan fi daerat al-gadal." Al Ahram, 04/08/2009. — "Bid' hagz 6132 wehda sakaneya bil-igar fi madinat 6 October." Al-Ahram, 08 21, 2013. — "Iskan Hukumi bil-igar." Al-Ahram, 20/06/2010. — "Masakin al-Awqaf bi-Qalyoub bil-Igar mada al haya." Al-Ahram, 09 15, 2010. — Al-Damin yaghtal hulm al-shabab fi al-shaqah. 04 07, 2010. http://www.masress.com/ahrammassai/5888 (accessed 10 01, 2013). — Hatta la tathhab li-gheir al-mustafideen: Al-'adala fi tawze'a shuqaq octobar. 12 23, 2009. http://digital.ahram.org.eg/articles.aspx?Serial=20711&eid=1401 (accessed 12 26, 2013). — Maghulun yaqtahimun shuqaq iskan al-shabab fi Aswan. 03 09, 2013. http://gate.ahram.org.eg/UI/Front/inner.aspx?NewsContentID=318972&Title=%D9%85%D8%AC%D9%87%D9%88%D9%84%D9%88%D9%86-%D9%8A%D9%82%D8%AA%D8%AD%D9%85%D9%88%D9%86-%D8%B4%D9%82%D9%82-%D8%A5%D8%B3%D9%83%D8%A7%D9%86-%D8%A7%D9%84%D8%B4%D8%A8%D8%A7%D8%A8-%D9%81%D9% (accessed 09 23, 2013). — Sukan al-Duweiqa yastawlun 'ala 232 wehda sakaneya bi Haram City. 02 21, 2011. http://digital.ahram.org.eg/Economy.aspx?Serial=436517 (accessed 09 23, 2013). Al-Ahram, Wazir al-iskan yukshef 21 alf wehda sakaniya munafatha bil-muhafazat bil-mashru' al-qawmy al-sabiq lil-iskan bidun marafiq hatta al-aan. 12 04, 2013. Al-Borsa, Al-Iskenderiya tatrah 2500 feddan li-iqamat mashru'a istithmary mutakamel. 09 25, 2012. http://www.alborsanews.com/2012/12/25/%D8%A7%D9%84%D8%A5%D8%B3%D9%83%D9%86%D8%AF%D8%B1%D9%8A%D8%A9-%D8%AA%D8%B7%D8%B1%D8%AD-2500-%D9%81%D8%AF%D8%A7%D9%86-%D9%84%D8%A5%D9%82%D8%A7%D9%85%D8%A9-%D9%85%D8%B4%D8%B1%D9%88%D8%B9-%D8%A7%D8%B3/ (accessed 09 23, 2013). Al-Dustor-al-asly, 'odw maglis sha'ab watani tahsul 'ala 9 shuqaq min iskan al-shabab 'abr al-qur'a. 05 12, 2010. http://www.masress.com/dostor/15919 (accessed 09 22, 2013). Al-Dustur al-Asly, Al-Naeb al-'am yahthar tarh al-wehdat al-sakaneyya bi al-iskan al-qawmy fi mazad 'alani. 06 07, 2010. http://www.masress.com/dostor/18489 (accessed 12 30, 2013). Al-Mal, "13 Alf qarar izala bil-Iskendereya lam yunafadth besabab al-infilat al-amny." Al-Mal, 06 02, 2013. —, Al-qita' al-'aqari yuraheb bi mubadaret al-markazi li-tamweel al-iskan al-mutawaset. 12 18, 2013. http://www.almalnews.com/Pages/StoryDetails.aspx?ID=125689#.UsGkX7TSX5M (accessed 12 30, 2013). Al-Masry al-Yawm, Al-Baltageyya yahtalun 1800 shaqa bil-mashru'a al-qawmy lil-iskan bi 6 octobar. 10 25, 2011. http://www.almasryalyoum.com/node/508690 (accessed 09 23, 2013). — Al-Iskan tukhases mashru' Beit al-'aela lil-niqabat wal-hayat al-hukumeya hifazan 'ala al-mustawa al-igtima'y. 09 16, 2007. http://today.almasryalyoum.com/article2.aspx?ArticleID=76287 (accessed 12 30, 2013). — Al-Qalubeya: Mahaley Banha yarfud shurut iskan mashrua' Mubarak lil-shabab. 07 21, 2006. http://today.almasryalyoum.com/article2.aspx?ArticleID=24354 (accessed 10 01, 2013). — Mad hagz wehdat al-mashrua' al-qawmy lil-iskan ila oghustos al-muqbil. 4 24, 2006. http://today.almasryalyoum.com/article2.aspx?ArticleID=14182 (accessed 10 01, 2013). Al-Masry al-Youm, Al-Iskan wa sharekat al-mashru'a al-qawmy tatagehan li-bi'a al-wehdat al-munafatha ila sharekat al-tamweel al-'aqary. 01 03, 2010. http://today.almasryalyoum.com/article2.aspx?ArticleID=238858 (accessed 12 26, 2013). Al-Masry-al-Yawm, Ameen Watany Bani-Sweif: 18 'Umara mabneya bi-miyah al-magary fi iskan Mubarak. 10 30, 2009. http://www.masress.com/almasryalyoum/156329 (accessed 10 01, 2013). — shakawy min al-'oyub al-insha'eya wa naqas al-khadamat fi mashru'a iskan Mubarak fil-Minya wal-Fayoum wa Bani-Sweif. 03 07, 2010. http://www.masress.com/almasryalyoum/86164 (accessed 10 01, 2013). Al-Mesreyoon, 740 osra tataqadam bi shakwa did muhafez al-Gharbeya li 'adam taslimuhum al-shuqaq. 11 18, 2012. http://almesryoon.com/permalink/53609.html (accessed 09 22, 2013). Al-Mesreyun, 750 Osra tatqadam bi shakwa did muhafez al-gharbeya li 'adam tasalmhum al-shuqaq. 11 18, 2012. http://almesryoon.com/permalink/53609.html (accessed 12 30, 2013). Al-Osbu'a Online, "Al-'adl wal-tanmeyya tarsud tala'ob bi-tawzi'a al-shuqaq al-sakaneyya bil-Minya wa Qena." Al-Osbu'a Online. 5 19, 2013. http://www.masress.com/elaosboa/70035 (accessed 12 22, 2013). — "Ihtigag al-'asharat amam mabna muhafazet al-Qahira lil-mutalaba bi-shuqaq fi Zeinhom." Al-Osbu'a Online. 7 20, 2011. http://www.masress.com/elaosboa/35512 (accessed 12 22, 2013). Al-Tahrir-al-Yawm, "Wazir al-iskan yaqer tayseerat lil-muta'ameleen ma' al-mogtama'at al-'omraneya." Al-Tahrir-al-Yawm, 01 01, 2012. Al-Wafd, "Mahazil tawzi'a shuqaq al-iskan bi-Dusuq." Al Wafd, 09 01, 2011. — Al-Mi'at yahtalun shuqaq Mubarak bil-Beheira. 02 12, 2011. http://www.masress.com/alwafd/15774 (accessed 09 23, 2013). — Al-shuqaq al-mohtala tatlub al-tahrir! 04 18, 2011. http://www.alwafd.org/front/index.php?option=com_content&view=article&id=35592:%D8%A7%D9%84%D8%B4%D9%82%D9%82-%D8%A7%D9%84%D9%85%D8%AD%D8%AA%D9%84%D8%A9-%D8%AA%D8%B7%D9%84%D8%A8-%D8%A7%D9%84%D8%AA%D8%AD%D8%B1%D9%8A%D8%B1%E2%80%AE&catid=144:%D9%85%D9%84%D9 (accessed 09 23, 2013). — "Iskan Aga.. Tala'ob wa fasad wa dehk a'ala al-muwateneen." Al-Wafd, 03 26, 2011. — Nas mashru'a qanun al-iskan al-igtima'e. 09 04, 2011. http://www.masress.com/alwafd/90448 (accessed 12 30, 2013). Al-Yawm al-Sabe', Al-Maghrabi: Al-mashru'a al-qawmi lil-iskan 'eban 'ala al-mizaneya. 03 05, 2010. http://www.youm7.com/News.asp?NewsID=197198#.UrnziLTcCo0 (accessed 12 24, 2013). Al-Yawm al-Sabea, Muhafez al-Wadi al-Gadid yugri i'ada qur'at shuqaq al-awqaf 'adan. 12 22, 2013. http://www1.youm7.com/News.asp?NewsID=1410630&#.UsFrx7TSX5N (accessed 12 30, 2013). Al-Yawm-al-Sabe'a, Mukhalafat iskan Mubarak wa makaber al-shu'ara' tutheer gadal fi Dumyat. 04 08, 2010. http://www.masress.com/youm7/211923 (accessed 10 01, 2013). — Qura al-dthahir al-saharawy fi Bani-Sweif taskunuha al-ashbah. 08 03, 2013. http://www.youm7.com/News.asp?NewsID=1188896 (accessed 09 23, 2013). Al-Youm al-Sabe'a, Naeb al-Watany Muhamad al-Murshidi yu'lin istiqalatuh min al-parlaman. 02 02, 2011. http://www.youm7.com/News.asp?NewsID=345660 (accessed 10 03, 2013). Al-Zanaty F. and Way A., Egypt Demographic and Health Survey, 2008. USAID, 2009. Amwal-al-Ghad, "Al-Awqaf tunshe' 1118 wehda li-iskan al-shabab bil-Qalyubeya." Amwal-al-Ghad, 12 21, 2010. Blaydes L., "Who Votes in Authoritarian Elections and why? Determinants of Voter Turnout in Contemporary Egypt." 2006. CAPMAS, "Al-Iskan - Al-wihdat al-sakaneya al-muhaqaqa fi al-hadar tibqan lil-qita'a." Al-Kitab al-ihsaey al-sanawy, 2012. Degla Group, Degla Gardens Overview. 2013. http://deglapalms.com/en/ (accessed 10 02, 2013). — Degla Palms Overview. 2013. http://www.deglagroup.com/projects_deglapalms_overview.php (accessed 10 02, 2013). Deputy E., "Designed to Deceive." 2011. De-Soto H., Dead Capital and the Poor in Egypt (Appendices). Egyptian Center for Economic Studies, 1997. Dorman W.J., The Politics of Neglect. PhD Thesis, 2007. Ezz Steel, Competition Compliance. ND. http://www.ezzindustries.com/main.asp?pageID=112 (accessed 10 02, 2013). Gray A., Definitions of Crowding and the Effects of Crowding on Health: A Literature Review. Ministry of Social Policy, 2001. Hassan N., "Social Aspects of Urban Housing in Cairo." MIMAR 17: Architecture in Development, 1985. HATC, Housing Space standards. Greater London Authority, 2006. Masr al-Gaidia, "Al-hagezun li-shuqaq shabab Beni Sweif istaqbalu al-muhafez al-gadid bi-muzahrat wa idrab." Masr al-Gaidia. 01 08, 2010. http://www.masress.com/misrelgdida/13478 (accessed 12 22, 2013). Masrawy, Baltageya yahtalun masakin Mubarak wa yuqimun akshakan 'ashwaeya bil-Minya. 02 16, 2011. http://www.masrawy.com/News/Egypt/Politics/2011/february/16/gang_building.aspx (accessed 09 23, 2013). — Masakin al-'Egeizi bil-Gharbeya tastagheith min baltageya. 02 13, 2011. http://www.masrawy.com/news/egypt/politics/2011/february/13/3gaizy_gharbia.aspx?ref=moreclip (accessed 09 23, 2013). MoH, "Al-Bernameg al-qawmy lil-iskan al-igtima'y (National Programme for Social Housing)." Ministry of Housing, Utilities and Urban Development. 2009. http://www.moh.gov.eg/PDF/kwmy.pdf (accessed 08 02, 2012). — "Al-Mashru'a al-qawmy lil-iskan." Ministry of Housing, Utilities and Urban Development. 10 14, 2012. http://www.moh.gov.eg/PDF/%D8%A7%D9%84%D9%85%D8%B4%D8%B1%D9%88%D8%B9%20%D8%A7%D9%84%D9%82%D9%88%D9%85%D9%89%20%D9%84%D9%84%D8%A7%D8%B3%D9%83%D8%A7%D9%8620121014.pdf (accessed 02 24, 2013). MoH, "Al-Wathiqa al-Marge'eya li-istratigeyat wa seyasat al-iskan fi Misr 2012 -2027." 2013. Moniem E. A., "Masaken magneyya wa arad bi asa'r ramzeya li ahali Halayeb wa Shalateen" Al Ahram, 04 10, 2013. Nassar H., "Economic participation of women in Egypt." Social Research Center of the American University in Cairo. nd. http://www1.aucegypt.edu/src/wsite1/background/employment_egypt.htm#Informality%20of%20the%20Labor%20Market (accessed 09 22, 2013). Nathmy N., "Ru'ya taqyimeya li-mashru'a ibni beitak." In Al-Ard wal-sakan fi Masr, by Ala'a el-Din 'Arafat, 269-328. Cairo: PID, 2012. ONA, Tawaquf haraket qitarat al-Sa'ed bi-Bani-Sweif bi sabab al-ihtigag 'ala 'adam taslim shuqaq al-iskan. 12 18, 2012. http://www.masress.com/ona/467705 (accessed 09 22, 2013). Rights, United Nations High Comissioner for Human. The Right to Housing Toolkit. n.d. http://www.ohchr.org/EN/Issues/Housing/toolkit/Pages/RighttoAdequateHousingToolkit.aspx (accessed 09 16, 2013). Ros-al-Youssef, "I'faa 17 Alf Mota'ather fi "Al-Kawmy Lil-Iskan" min fawa'ed al-Ta'kheer." Ros-al-Youssef, 06 08, 2010. — "Sow'al ila wazir al-iskan." Ros-al-Youssef, 06 21, 2010. Sada al-Balad, Mehlib: ladayna 30 alf wehda bi iskan Mubarak bidun marafiq hata al-aan... wa aradi lam turafaq min 2007. 11 26, 2013. http://www.el-balad.com/688822 (accessed 12 30, 2013). Shawkat Y., Al-'Adala al-igtima'eya wal-'omran, kharitit Masr. Cairo: Wezarit al-iskan al-dthil, 2013. Shehayeb D., and Khaled A.-H. Al-Fi'at al-muhamasha wal-haq fil-sakan al-laeq. Tunis: CAWTHAR, 2013. StatCan. Housing Affordability. n.d. http://www.statcan.gc.ca/pub/82-229-x/2009001/envir/hax-eng.htm#n3 (accessed 06 13, 2013). The Guarantee and Subsidy Fund. Mashru'a al-Shuruk. 2010. http://www.mff.gov.eg/site/projectdetails.aspx?id=69 (accessed 12 26, 2013). USAID, "Egypt Affordable Home Production Program." 2006. USAID, "Housing Study for Urban Egypt." 2008. Veto, "Tazahur mustahiqi al-shuqaq al-sakaneyya amam maglis madinet Sammanud bil-Gharbeyya." Veto. 04 23, 2013. http://www.masress.com/veto/286180 (accessed 12 22, 2013). World Bank, A Framework for Housing Policy Reform in Urban Areas in Egypt : Developing a Well Functioning Housing System and Strengthening the National Housing Program. World Bank, 2008. World Bank, Egypt - Analysis of housing supply mechanisms, final note. World Bank, 2007. World Bank, Next Step Recommendations For Affordable Housing Policy And The National Housing Program. World Bank, 2008. World-Bank, Egypt – Urban Sector Update, Vol. 1. Washington DC: World Bank, 2008. 1 Between 1986 and 1996 the public sector built 29.5 per cent of all urban housing (not necessarily all subsidised), or 47.5 per cent of the formally built housing, (World Bank 2007). 2 Adequate housing being defined by article 11 of the International Covenant Committee on Economic and Social and Cultural Rights (ICESCR), and the subsequent comment 4/1991. 3 As evidenced in this thorough analysis of the Toshka project, the most recent of the so-called National Projects (Deputy 2011). 4 Egypt is party to the ICESCR, with obligations to apply its mandate. Article 11 mandates the right to adequate housing, while the subsequent General comment no. 4/1991 outlines the seven basics of adequate housing. 8 Press reports of some recent housing lottery protests (Al-Osbu'a Online 2013), (Al-Osbu'a Online 2011), (Veto 2013), (Masr al-Gaidia 2010). 9 The Mortgage Law 148 of 2001 defined low-income as individual monthly salaries of LE 1,000, or household incomes of LE 1,500. These were later amended in 2008 to LE 1,500 and LE 2,500 respectively. 10 (USAID 2006) In addition, three high level studies were implemented by the World Bank on behalf of the Government of Egypt within the NHP time frame and covered: an analysis of housing production (World Bank 2007); a framework for housing policy reform (World Bank 2008); and recommendations specific to the NHP (World Bank 2008). 12 Electricity, water, and wastewater networks installed up to the boundaries of the plots, and the relevant production stations built. 13 A total of 5,181 feddans (21.8 million m2) were earmarked for the scheme. At least 50 per cent of the land was sold at LE 70/m2, or about half the LE 140 it cost the government to service with roads and trunk infrastructure, while the rest of the land not used for NHP units was sold at LE 333, which was still below market prices. Developers buying plots over 200 feddans got further discounts, where the Orascom Community Development bought 2,000 feddans for LE 10 per m2 in 6th October City to build Haram City. (World Bank 2008). 18 There are no publically available documents that reveal the allocation of intended or completed units. Hence, these figures are from an author’s compilation from various sources of unit allocation by governorate for the NHP. The compilation however is about 90 per cent complete and thus not comprehensive. 19 A recent newspaper article was headlined “Free Housing for Halayib and Shalateen (Red Sea) Residents”, Al Ahram 2013a. 20 For example, a breakdown of unit distribution for another housing scheme shows units in the New City of 10th of Ramadan in Sharkeya, allocated for both the Sharkeya and Gharbeya governorates. 21 The right to adequate housing (Art.11 (1)) :. 12/13/1991. CESCR General comment 4, note number 8. http://www.unhchr.ch/tbs/doc.nsf/%28Symbol%29/469f4d91a9378221c12563ed0053547e?Opendocument Signed by the Arab Republic of Egypt on August 4th, 1966 and ratified January 14th, 1982. 23 As per Mortgage Law number 148 of 2001, article 6, altered by prime ministerial decree number 456 of 2005 and then decree 1864 of 2008. Though some schemes continued using the 2005 definition up until 2013. 24 In 2008 households earning LE 2500 per month were in the 98th percentile, (USAID, Housing Study for Urban Egypt 2008). 27 An LE 30,000 loan is required from one of the participating state banks, where instalments are paid back at a compound appreciation of 7.5 per cent over twenty years (Al-Mal 2013). 28 In 2010, only three years after the first units were delivered, 17,000 families had started defaulting on loan payments (Ros-al-Youssef, I'faa 17 Alf Mota'ather fi "Al-Kawmy Lil-Iskan" min fawa'ed al-Ta'kheer 2010). 29 In the later years of the NHP, unit prices were double the original cost during 2005, thereby doubling the minimum income to qualify for the loans (Al-Borsa 2012) or the mortgages (The Guarantee and Subsidy Fund 2010). Mortgages were introduced in 2009/2010 when a World Bank finance Affordable Mortgage Programme was introduced and NUCA started selling a portion of finished units to the Tamweel al Oula Mortgage Company to sell them on to beneficiaries (Al-Masry al-Youm 2010). 30 Interview with Gamal (only gave first name), a beneficiary of the Tamlik scheme, who said he had to pay the entire amount in cash (kayesh) upfront because he did not have a formal job. March, 2013. 35 Permits and utility connections costs, LE 4,150, structural shell, LE 35,000, exterior finishing, 30,000, interior finishing, LE 16,000 (Nathmy 2012). 38 As evidenced by numerous protests by applicants calling for a re-run of the lottery, which some authorities gave in to (Al-Mesreyun 2012) and (al-Yawm al-Sabea 2013), as well as a copy of a contract from a Private Developer scheme where the information declaration page was not even filled in. Also see (World Bank 2008) for more detail on the faults of the NHP screening process and for recommendations for improving it. 44 Administrative custody, or hagz idari, is a procedure where a government agency that is owed rent or taxes can impound moveable property of a value similar to the money owed to cover the debt. However, there is much fraud in this system where government clerks claim there was no moveable property to impound, thereby transforming the claim to a felony punishable by a prison term. Interview with housing rights lawyer Muhamed Abdel-Azim, 23.09.2013. 47 This may change soon however, as the mortgage companies and the GSF are pressuring to raise the lending limit to 40 per cent, which will greatly increase risk of default. 52 12,638 units in Minya (Al-Masry-al-Yawm 2010) 620 units in Dumyat experienced settlement and tilting (Al-Yawm-al-Sabe'a 2010) and 18 buildings in Bani-Sweif experienced cracks (Al-Masry-al-Yawm 2009), while a unit collapsed and a number of others experienced cracks in the private developer scheme of Haram City (Shehayeb and Abdel-Halim 2013). 1,900 units was also evacuated in al-Beheira (Al-Ahram 2013). 53 Nowhere on the application form is there a question for preference, especially one based on age or needs. One example of lottery fraud is where the sequence was changed to favour certain people against others. (Al-Wafd, Mahazil tawzi'a shuqaq al-iskan bi-Dusuq 2011). 54 Interviews with Ramone and Mohamed (gave first names only) during a field visit to Ebny Beitak, 7th Phase, 6th October City, March, 2013. 57 Where 67 per cent of land was allocated to New Cities, and the rest was located within city and village boundaries in governorates. (Al-Ahram, Bi sabab al-tagawozat wal-samsara wa irtifa'a al-as'ar, al-mashru'a al-qawmy lil-sikan fi daerat al-gadal 2009). 58 There exists no regulation to designate certain percentages of land for public housing, while almost no funds are allocated to land purchases for public service projects (World-Bank 2008). 60 A statistics report with aggregated data from all public sector schemes of low-cost housing, iskan iqtisadi, covering the original years of the NHP, 2005 to 2011 was used for this figure (CAPMAS 2012). 61 As opposed to the aggregated CAPMAS 2012, this MoH report (MoH 2012) disaggregates the number of implemented units by scheme. However, the only date indicated for this report was in the url of the pdf document retrieved from the MoH website. Otherwise, the table that shows the units implemented is undated, and an aggregated table showing a year-by-year account of implemented units states that the sixth and last year started on 1st October, 2010 and extends till ‘now’. Thus it has been assumed that ‘now’ is 14th October, 2013. 62 As per the MoH report (MoH 2012) which relied on plots delivered rather than plots built. Though a study confirms a high rate of completion (Nathmy 2012), where a 2,200 plot sample revealed that 92 per cent completed a single floor/unit, 87 per cent completed two floors (two units) each, and 62 per cent building all three floors. So it might be safe to assume that the scheme met its 89,000 unit target, and more. 63 A former NDP parliamentarian’s real estate firm, Memaar Al Morshedy acquired 600 feddans in 6th October City or about 12 per cent of all land allocated to the scheme (Degla Group 2013) & (Degla Group 2013). 65 1,800 units in Beit al-‘ela (Al-Masry al-Yawm 2011), 232 units in Haram City (Al-Ahram 2011), 650 in Beheira, (Al-Wafd, Al-Mi'at yahtalun shuqaq Mubarak bil-Beheira 2011), 400 in Alexandria, another 400 in Qalyub, (Al-Wafd 2011), 144 in Aswan (Al-Ahram 2013), and an unspecified number of units in Minya (Masrawy 2011). 66 A field visit to a portion the scheme finished three years earlier showed that a portion of the 5,400 completed units were delivered to beneficiaries, and where middlemen had already set up shop and were renting and trading them, while an even lesser portion seemed inhabited. Field visit by the author to 11 clusters in the Ganub al-Ahya’ sector, 6th of October City, Giza, 10.12.2013. 67 A recent report to the housing minister stated 21,000 units from the NHP still had no infrastructure (Al-Ahram 2013). 68 A number of governorates reported extremely low demand in the first year of the NHP due to high prices (Al-Masry al-Yawm 2006) and (Al-Masry al-Yawm 2006), also see previous section on affordability and access. 69 Ahmed Ezz, a former high level NDP member and head of the parliamentary budget committee during tenure as an NDP MP, controlled between 50 and 70 per cent of the local steel industry during the NHP project cycle (Ezz Steel ND). Yahia Shawkat est actuellement chercheur sur les questions de droit au logement et de droit à la terre auprès de l'Initiative Egyptienne pour les Droits de la Personne. Il s’intéresse particulièrement aux populations menacées de perdre leur domicile, que ce soit du fait de politiques économiques, d’expulsion, ou à cause de l'effondrement de leur immeuble. Yahia Shawkat critique aussi sur son blog, ShadowMinistryOfHousing.org, l’urbanisme et la politique de logement menée en Egypte.